We are strongly committed in enhancing our core technological strengths in medical imaging. We have proprietary digital spectrometer system augmented by powerful gradient systems. 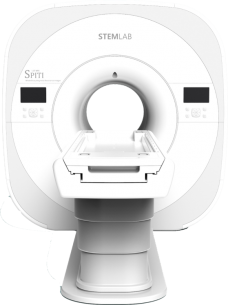 Our technologies are of commercial grade with successful track records in the development of 1.5T, 3.0T Supercon MRI, 0.35T Open MRI and dedicated MRIs along with a new generation of bone mineral densitometer. We believe that our technology platforms will be a strong augmentation to tissue engineering in the foreseeable future. Through our strong multidisciplinary research team, we are committed to developing bio printing system to meet the bespoke needs of clinics and patients in the near future.